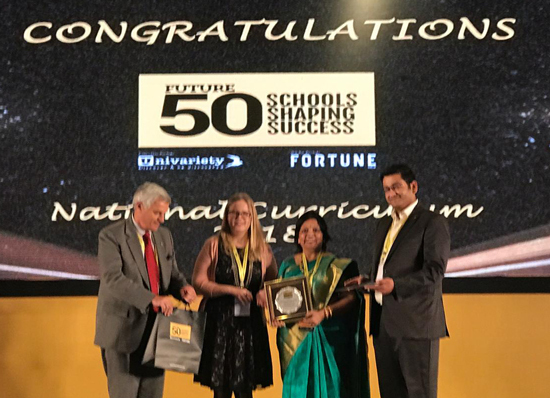 It was a moment of great pride when CMS Aliganj Campus I made it to the list of top 50 schools in India as "Future 50 schools shaping success" under the National Curriculum category. 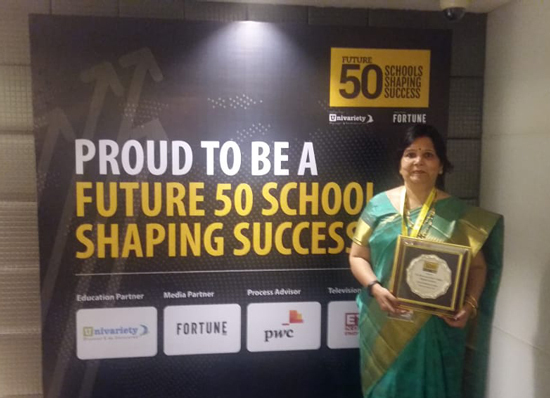 This award was received by the proud senior principal of CMS Aliganj Campus I; Mrs Jyoti Kashyap in Mumbai along with Mrs Abha Anant; Principal, CMS Gomti Nagar Campus I. She also participated in the workshop "Alumni networking-a two way street" on 14th & 15th november 2018, wherein educators from the leading schools of India learnt how to build an active alumni network. 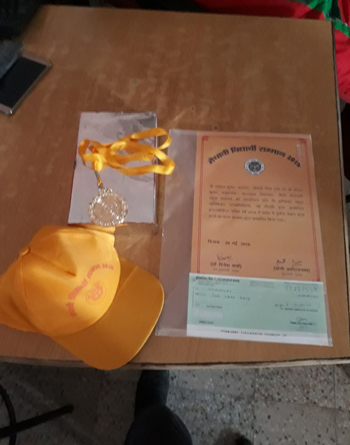 Nandani khare of class 6th G of Aliganj Campus I was awarded the "Azadi ke tarane Kala Ratna" Award. The programme was organised by Navprabhat jan seva institute, Delhi, Ham sab sath sath patrika & KBS prakashan, New Delhi on 1st September in Delhi. 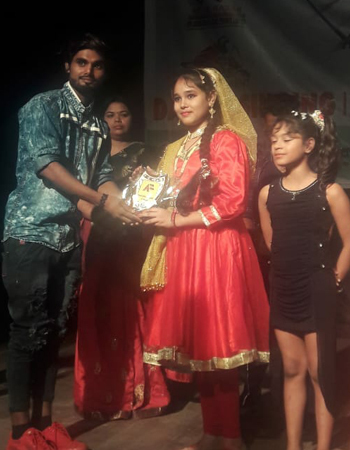 Students fetch laurels in Dancing! 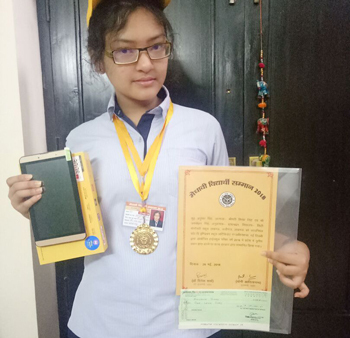 Swarn Hans Nritya Kala Mandir has presented Kopal sinha, Class 6 H of Aliganj Campus I, 2nd prize in all India Classical Dance Competition. The event was held in Rai Uma Nathbali preshagrih on 12th sep.2018. 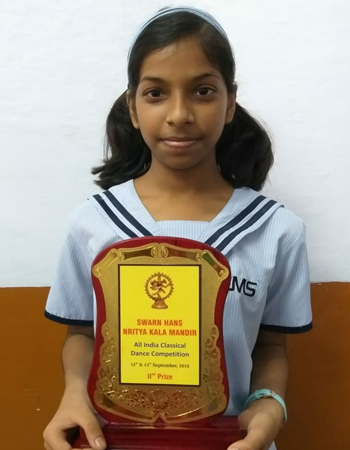 Bhavya Srivastava of class 5A was declared the First Winner in Talent Show " Ek Sham Desh ke Naam" by Neeraj Srivastava, National president, National Anti- Corruption and Human Rights committee of India in Rai Umanath Bali preshagrih Auditorium on Sunday, 16th September. The MUN (Model United Nations) participants along with their Teacher - mentor; Ms. Trishla Ranjan were felicitated during Assembly in Aliganj Campus I for their commendable performance. They were presented certificates by the Vice Principal, Mrs. Lipika Kale. Oratory Skills - Shanvi Dixit and Vanshika Sachar. 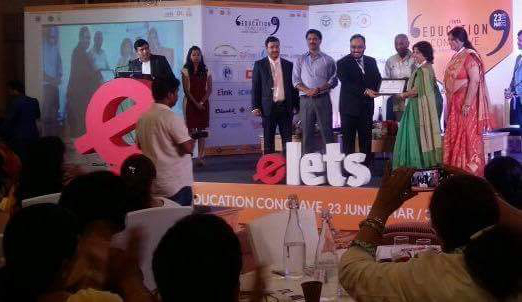 CMS Aliganj Campus I declared one of the Top Schools of India by Elets Education Conclave 2018! CMS Aliganj Campus I has been ranked as one of the best schools in the Top School of India Ranking Survey 2017, conducted by digital LEARNING magazine. 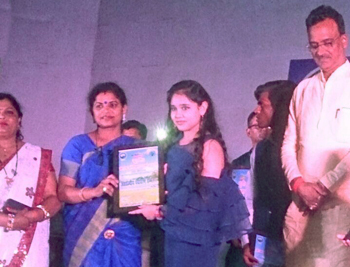 The award ceremony was held at Hotel Vivanta by Taj, Gomtinagar, Lucknow on 23rd May, 2018 in which our Principal, Mrs. Jyoti Kashyap was honoured by Elets Education Conclave. The principals & top dignitaries representing various schools graced this prestigious awards function. We owe our success to our beloved Principal mam who has been our source of inspiration! 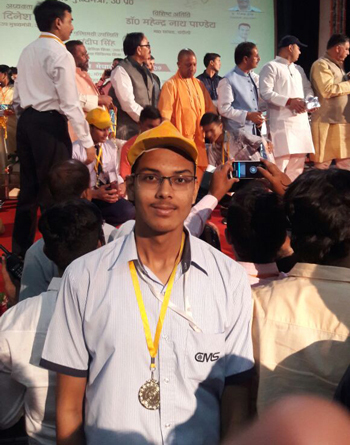 Shashwat of CMS Aliganj Campus I felicitated by UP CM! CMS Aliganj Campus I has been ranked as one of the best schools in the Top School of India Ranking Survey 2017, conducted by digitalLEARNING magazine . He was presented a cheque of 1 Lac rupees, a tab, certificate of excellence & a medal for his commendable achievement in "Medhavi Vidyarthi Samman;2018"- a ceremony specially organised to celebrate the achievements of meritorious students of various boards on 29th may in Lucknow. We, at CMS Aliganj Campus I wish Shashwat many more laurels in the years to come! 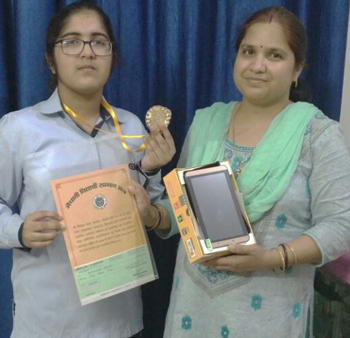 Mimansha & Anushka ofCMS Aliganj Campus I also felicitated by UP CM! Mimansha Ranjan and Anushka Singh of CMS Aliganj Campus I were felicitated by the honourable Chief Minister of Uttar Pradesh, Yogi Adityanathji & honourable Deputy Chief Minister, UP, Dinesh Sharmaji for securing the 3rd position in UP & 7th All India rank in the ICSE board examinations, 2018. They both secured 98.20%. They were presented a cheque of 1 Lac rupees, a tab, certificate of excellence & a medal for their commendable achievement in "Medhavi Vidyarthi Samman, 2018"- a ceremony specially organised to celebrate the achievements of meritorious students of various boards on 29th may in Lucknow. The CMS Aliganj Campus I family wishes them many more success stories! 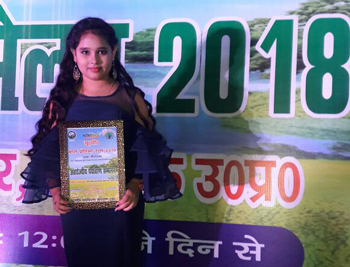 Bhavya of Aliganj Campus I presented the Bal Ratna Award! 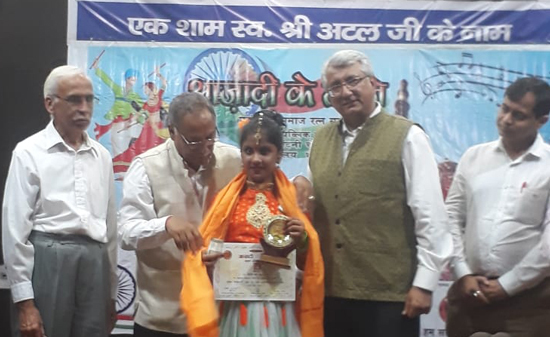 Bhavya Srivastava of class 5B of CMS Aliganj Campus I was presented the UP Bal Pratibha Ratna Award 2018 for her commendable dancing skills on the occasion of World Environment Day on 4th June at Sangeet Natya Academy, Gomtinagar, Lucknow. The event was organised by the Pragati Paryavaran Sanrakshan Trust.